The memcon range of adhesive products have been specifically developed for use in membrane switch, front panel, labels, nameplates, flexible circuits, EL, sensors and other applications that require high performance adhesives. Our spacer tapes utilise high-performance adhesive, providing a good level of initial tack and a high level of adhesive strength. Developed for use in the harshest of conditions, our spacer tapes demonstrate outstanding resistance to hostile environments. They are ideally suited for die-cutting. Our spacers are available in both double sided and single sided construction, in a wide variety of polyester carrier and adhesive thicknesses. The MS series spacer tapes provide a high quality product at a price positioned to help our customers compete in this competitive market. Our Transfer Tape utilises high performance acrylic adhesive coated on PE paper release liner. Transparent with high shear adhesion and excellent environmental resistance. 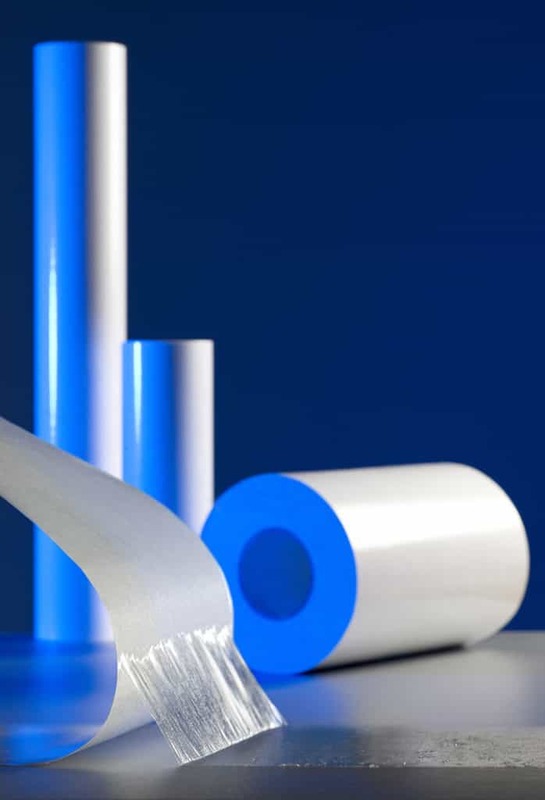 They provide great adhesion to metals and different kinds of plastics including high HSE and or low LSE. Memcon’s range of specialized optically clear adhesive is ideal for use in Touch Displays and associated products and suitable for adhesion to a range of surfaces including glass, SUS and PC where a high level of adhesion is required. Having been produced in a Class 1000 clean environment this specialist adhesive product demonstrates high transparency and clarity with excellent resistance to high temperature, high humidity and aging. The product is supplied with two release liners for optimum adhesive smoothness and differential release to ease processing and ensure protection from contamination. Our products with an acidic adhesive are ideal for resistive touch screen applications whilst our neutral adhesive allows direct bonding to ITO glass for capacitive touch screen applications. Our Double Sided Tapes are ideal for use in metal or plastic nameplate style and associated applications. The range of high performance Double Sided Tapes provide a high level of adhesion along with good hoding power. They also exert excellen temperature resistance and repulsion resistance. Our Double Sided PE Foam Tapes are coated with modified solvent acrylic adhesive which provides good adhesion, high shear strength and long aging properties.